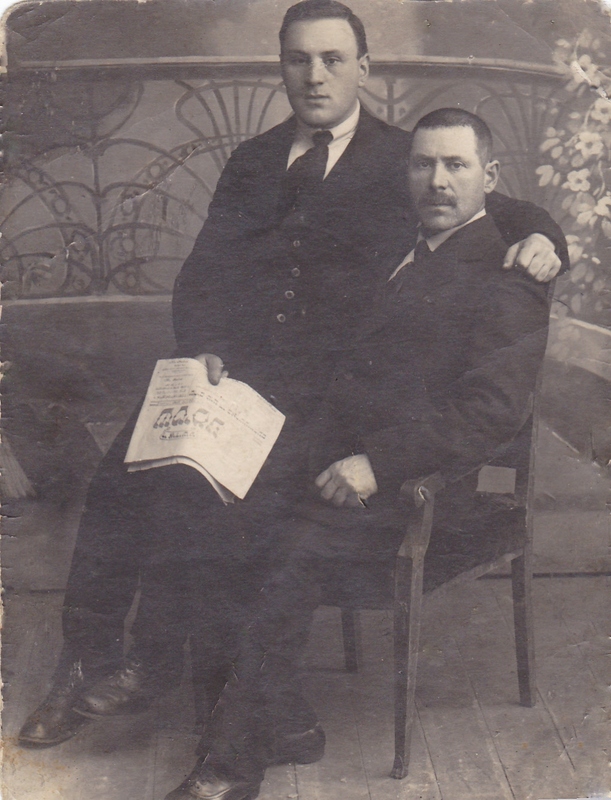 A picture of my grandfather Hirsch-Meir Rachowitz and his father Abraham-Dov Rachowitz (later murdered in 1944 at age 64 in the Kovno/Kaunas Ghetto/Slobodka/Vilijampolė). My grandfather Hirsch-Meir is holding in his right hand the Zionist newspaper in Yiddish "Di Yiddishe Stimme" (The Jewish Voice), brought into being in 1919 by the Zionist Organization of Lithuania, which became in effect the mouthpiece of the Jewish population. My grandfather, Hirsch-Meir Rachowitz, had a childhood friend in Kovno/Kaunas, Aleksotas -- Dr Herzl Rosenblum (Herzl Vardi), a signatory of the Israeli declaration of independence and the editor of Yedioth Ahronoth daily newspaper for more than 35 years. Dr Rosenblum left Kovno for Palestine in 1935. © 2011-2013. In Memory of My Father Aaron Rachowitz. All Rights Reserved. Picture Window theme. Powered by Blogger.